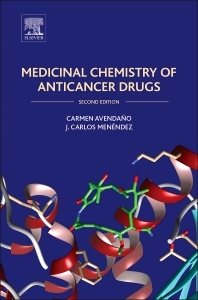 Medicinal Chemistry of Anticancer Drugs, Second Edition, provides an updated treatment from the point of view of medicinal chemistry and drug design, focusing on the mechanism of action of antitumor drugs from the molecular level, and on the relationship between chemical structure and chemical and biochemical reactivity of antitumor agents. Antitumor chemotherapy is a very active field of research, and a huge amount of information on the topic is generated every year. Cytotoxic chemotherapy is gradually being supplemented by a new generation of drugs that recognize specific targets on the surface or inside cancer cells, and resistance to antitumor drugs continues to be investigated. While these therapies are in their infancy, they hold promise of more effective therapies with fewer side effects. Although many books are available that deal with clinical aspects of cancer chemotherapy, this book provides a sorely needed update from the point of view of medicinal chemistry and drug design. 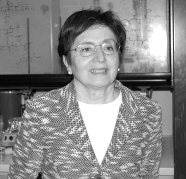 For researchers in pharmaceutical, medicinal and organic chemistry departments in both academia and industry. Practitioners requiring an understanding of structure-activity relationships in oncology / cancer research. Advanced undergraduate and graduate students in medicinal chemistry and pharmacology.